chucks are near and dear to my heart. they go with anything. and depending on your style, they just automatically say something. when i wear them i’m usually trying to convey that i don’t take myself too seriously. or… i’m kinda fun. 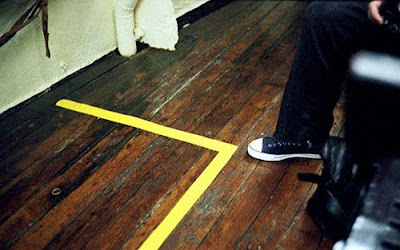 i won’t ask for much concerning this blog… but i will take all converse submissions with the hope that i can share them with everyone else… here are a couple submissions. this is from my friend patrick. patrick is a serious photographer. i know that because; not only does he BUY FILM, but he pays to have it DEVELOPED. this is a picture he took of his friends feet. clad in chucks. 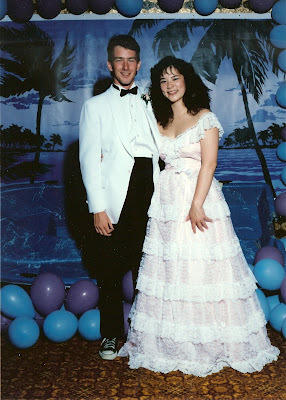 this is my friend jen… her date to prom wore converse. that’s pretty cool.